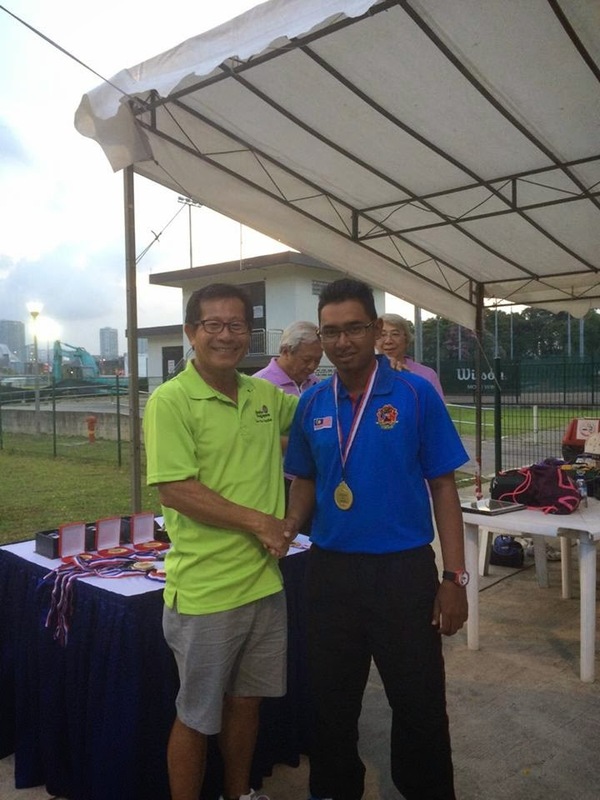 WELCOME to DESS DAHASRY of MALAYSIA..
My son, DAENG DHADYRY DAHASRY, emerged as the Men's Singles Champion at the South East Asian Lawn Bowls Championship 2015, held at the Kallang Lawn Bowling Green, in Singapore. 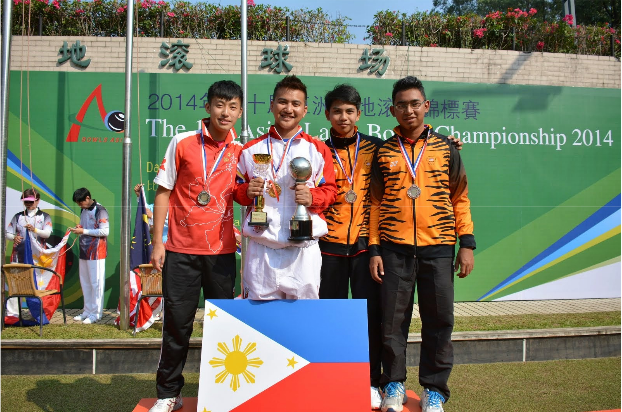 Representing Malaysia, Daeng Dhadyry also won the Gold medal in the Men's Fours, with partners Muizz, Hafizi and Saifudin. 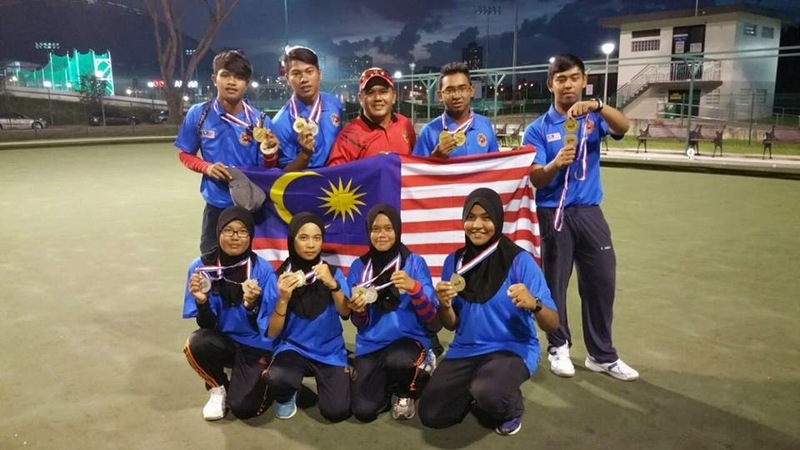 Team Malaysia came out 2nd overall in the championship, winning 2 Golds and 3 Silvers - the 3 Silver medals from the Men's Triples, Women's Triples and the Women's Fours. 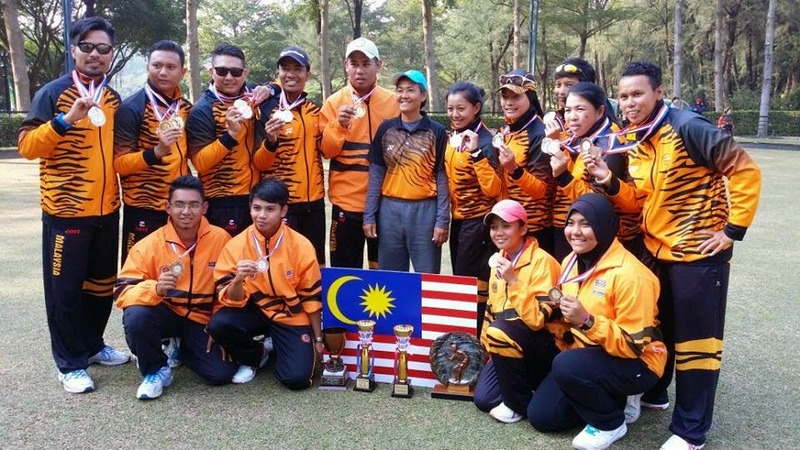 Congratulations Team Malaysia for the fine performance, under coach Cody Lee. You did well..
happy faces after the Prize presentation. That's my boy... 2 Gold medals. 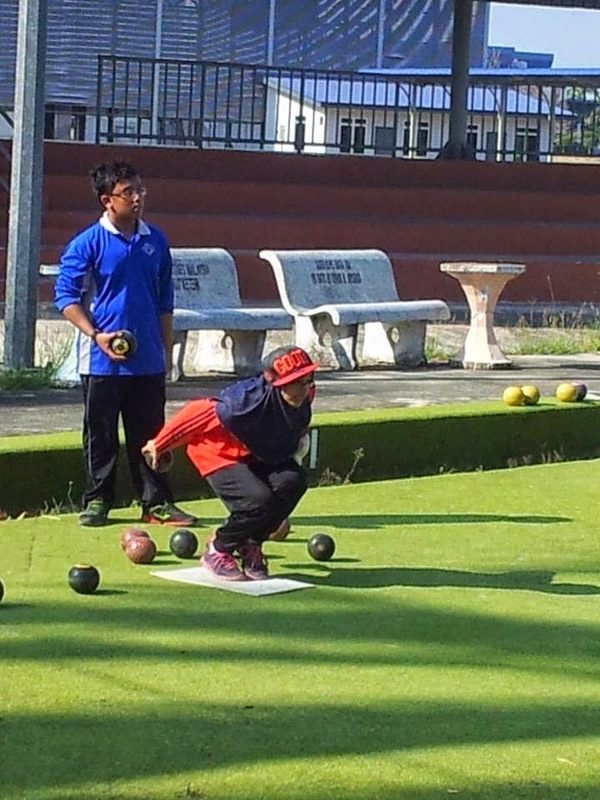 My youngest daughter, Dessy Dhaqira, is fast gaining the skills in Lawn Bowls. She is only 13. She has been training since last year when she was 12. 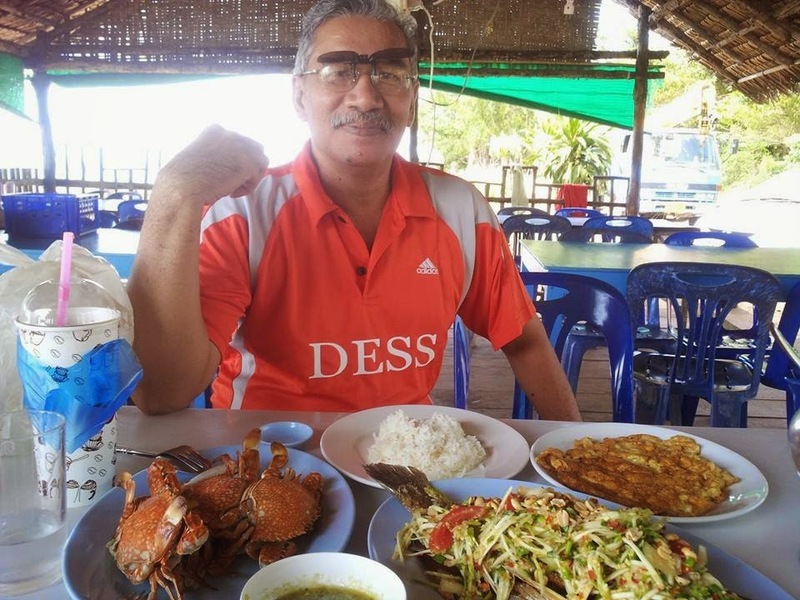 LUNCH in TANJUNG PO, SATUN, THAILAND..
Had my lunch in Tanjung Po (Tanjung Pauh) in Satun, Thailand, today... with my buddy, Ed. 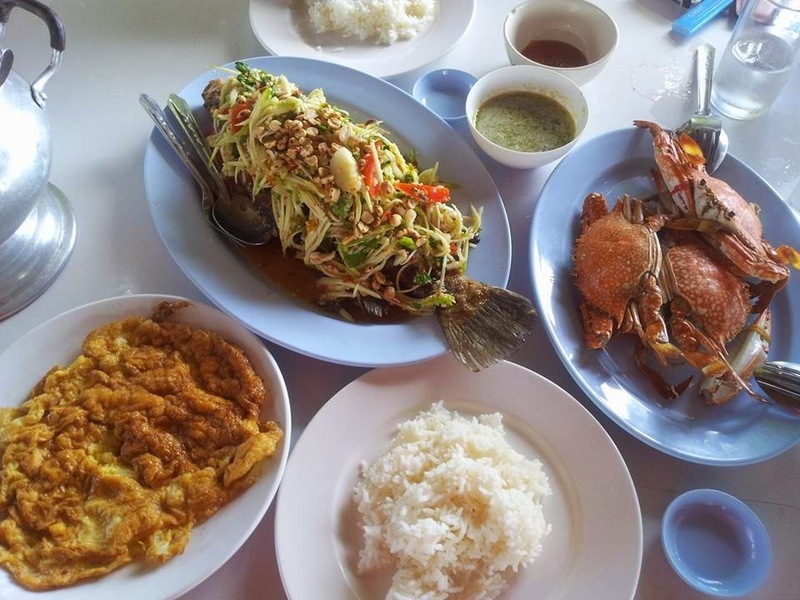 We had "Siakap Kerabu Mempelam"(barramundi with mango), some crabs and omelet - with white rice, of course. 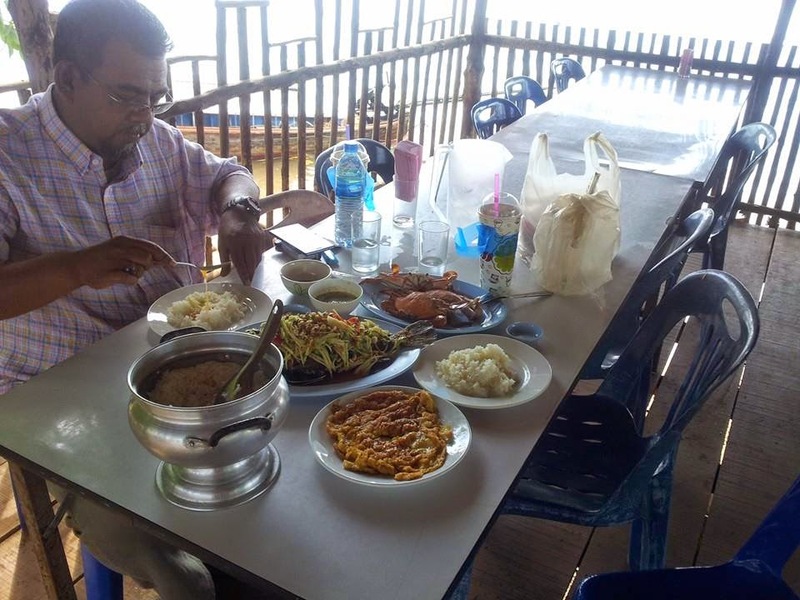 It was very cheap - we paid 500 baht for the lunch. 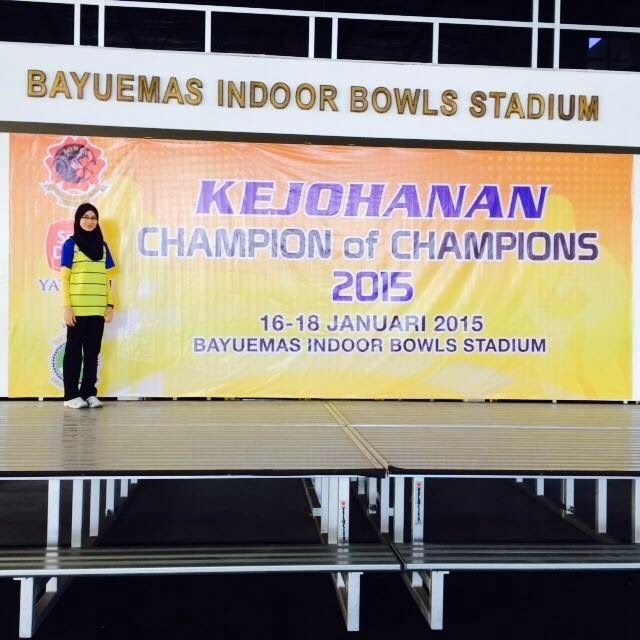 Congrates to my daughter, Dessy Dhabita, for being the Bronze medalist at the 2015 LAWN BOWLS CHAMPION OF CHAMPIONS, held at the Bayuemas Indoor Bowls Stadium, in Klang, Selangor. 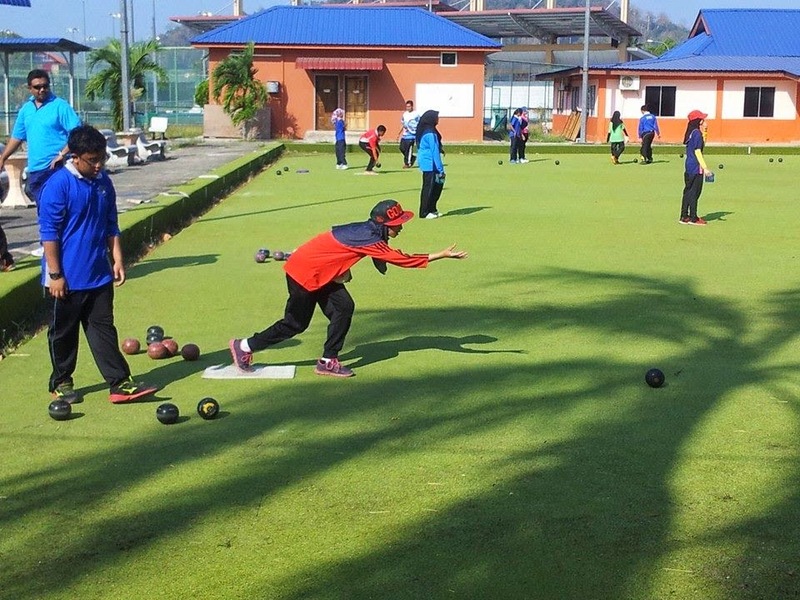 This is the 1st time she was entered for this prestigious tournament, after being the state champion of Perlis. 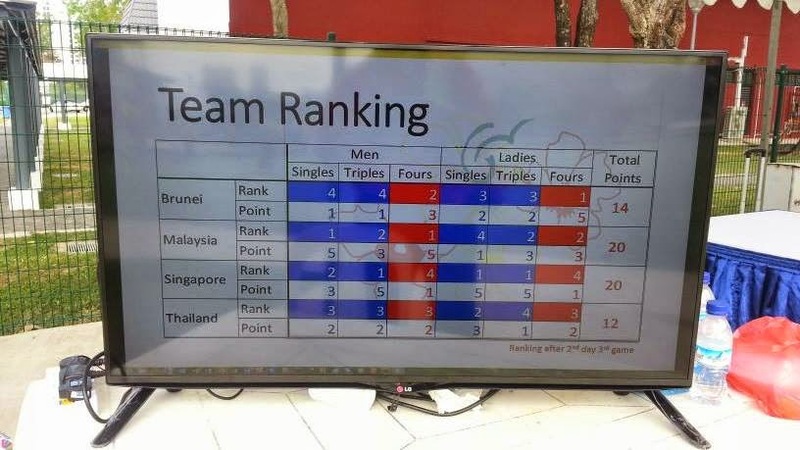 Every state in Malaysia is allowed to send only one champion each (men and women, of course). 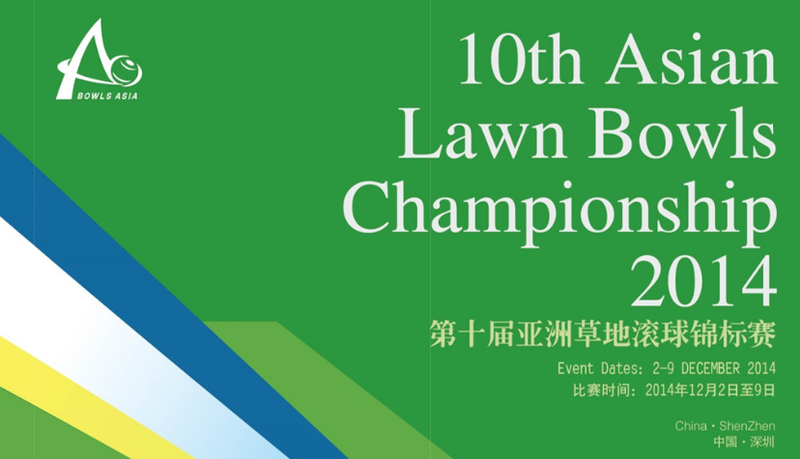 All the national players, including the back-up squad, also compete in this yearly tournament. 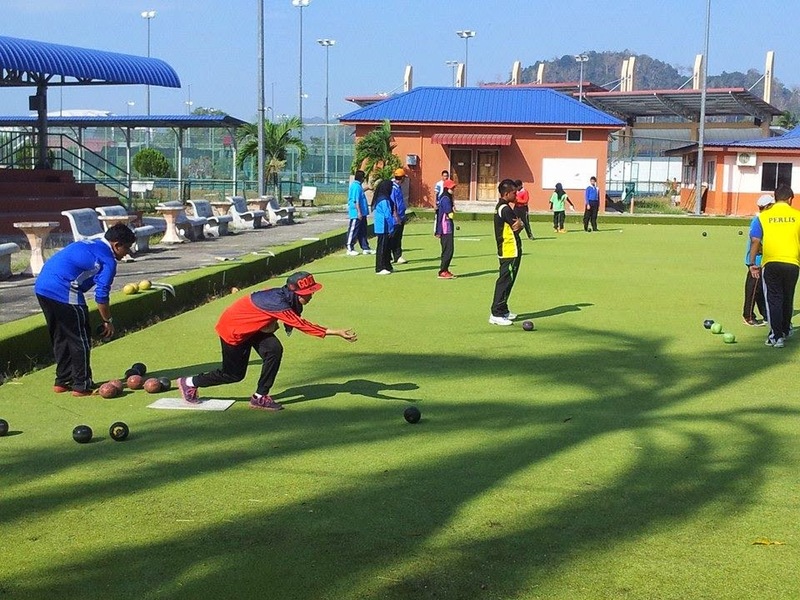 Dessy (PER) lost to Azlina (MAS C) 0-2 (4-7, 3-7). 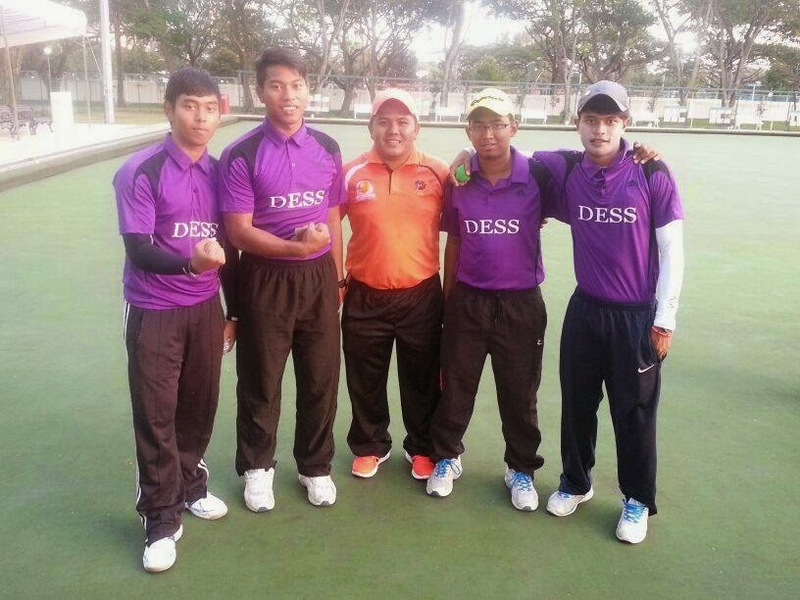 Dessy (PER) lost to Zuraini (MAS D) 0-2 (2-7, 4-7). 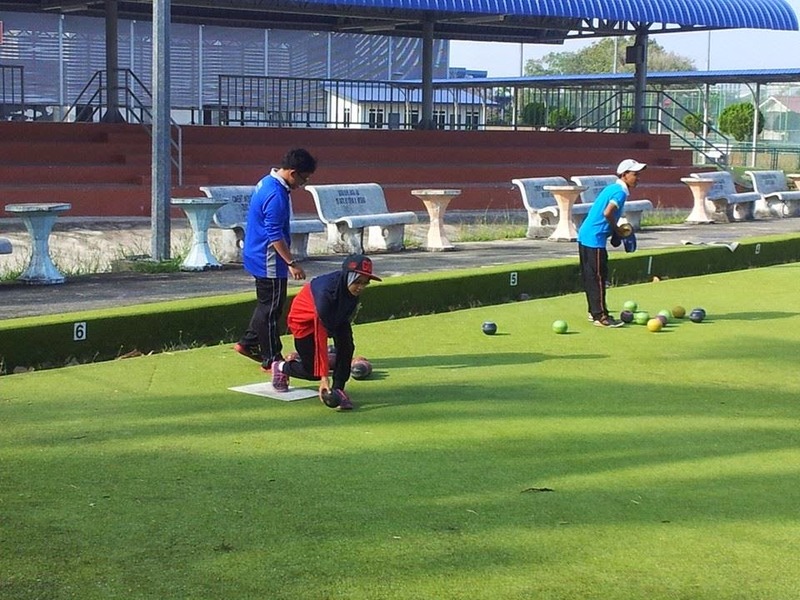 Dessy (PER) defeated Sh Shaza (PELAPIS B) 1.5 -0.5 (8-3, 5-5). Dessy (PER) defeated Huzaimah (TER) 2-0 (6-4, 9-6). 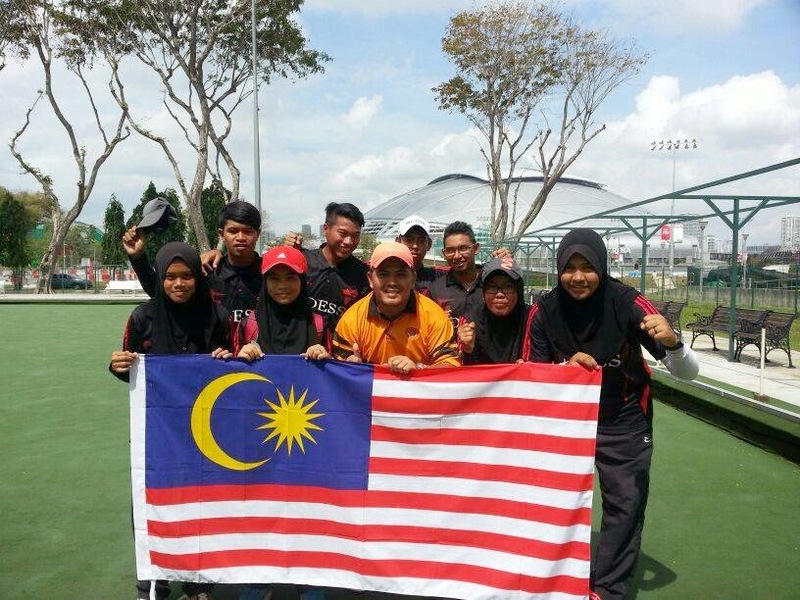 Dessy (PER) defeated Norzafirah (MAS F) 2-1 (1-11, 7-2, tie-break 2-2, sudden death 2-0). 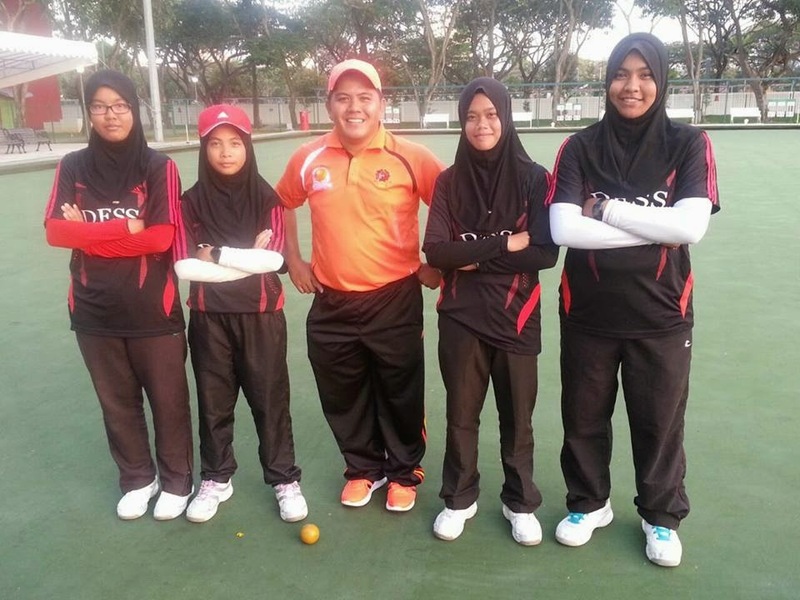 Dessy (PER) defeated Adik Nabila (PDRM) 2-1 (2-9, 7-2, tie-break 2-1). Dessy (PER) lost to Emma (MAS E) 1-2 (2-13, 9-4, tie-break 2-3). Congratulations again.... Proud of you. May you win more tournaments in the near future..
Liverpool kept this slim lead from the 9th minute till the end to earn the full 3 points from this game at the Light Stadium. Lazar Markovic scored the only goal... Actually, Liverpool should have scored more - but as usual, poor refereeing let the game down.. Anyway, full points for Liverpool. 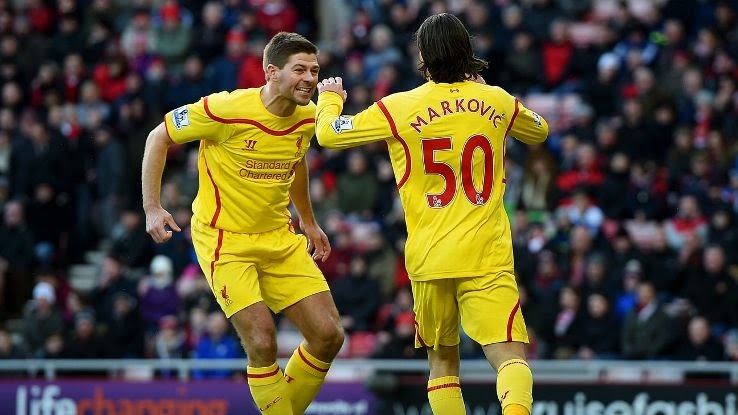 LIVERPOOL 2-1 WIMBLEDON - 2015 FA Cup 3rd Round. Gerrard scoring with a header in the 12th minute. Steven Gerrard scored twice in this game for Liverpool to advance into the 4th round of the English FA Cup 2014/2015 season. 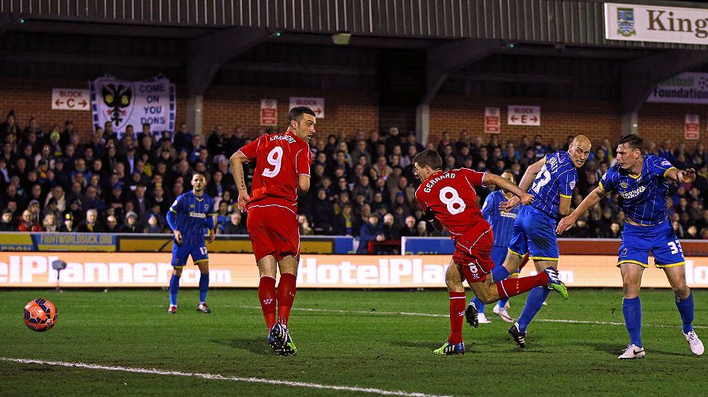 Gerrard scored his 1st with a header in the 12th minute. His second goal came from his typical free kick from 30 yards out. Final score: Wimbledon FC 1-2 Liverpool. 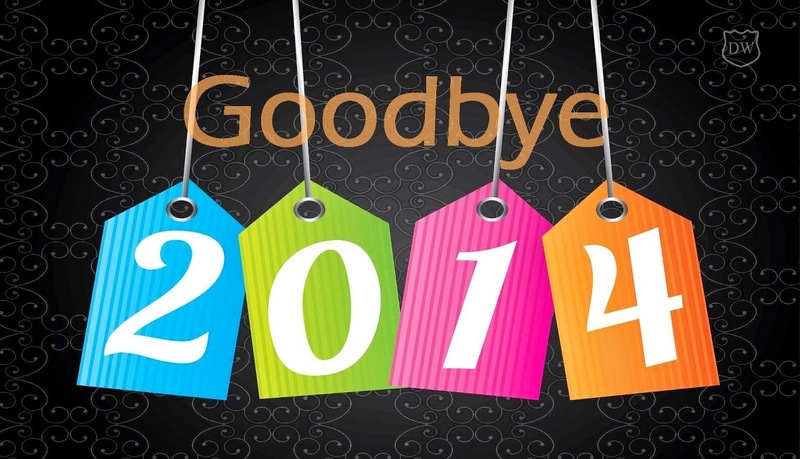 Honestly, I really want to forget year 2014. 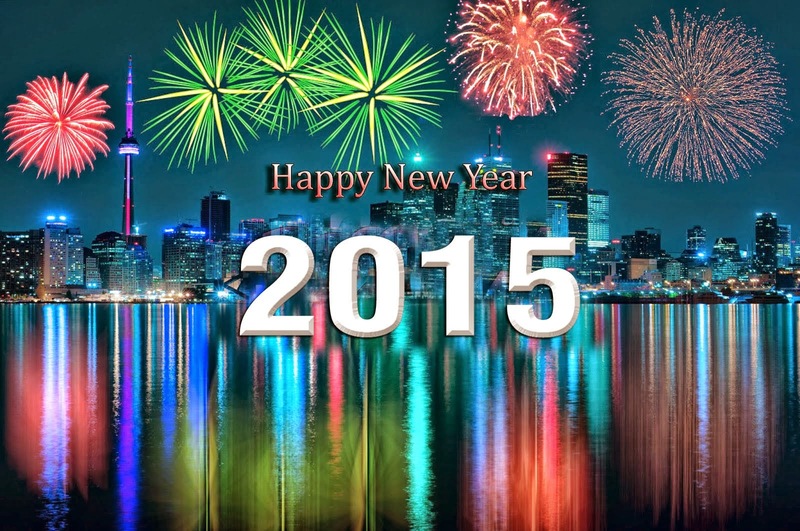 Three aircraft disasters in a year is too much - MH370, MH17 and QZ8501. MH17 was shot down. And we don't know why? 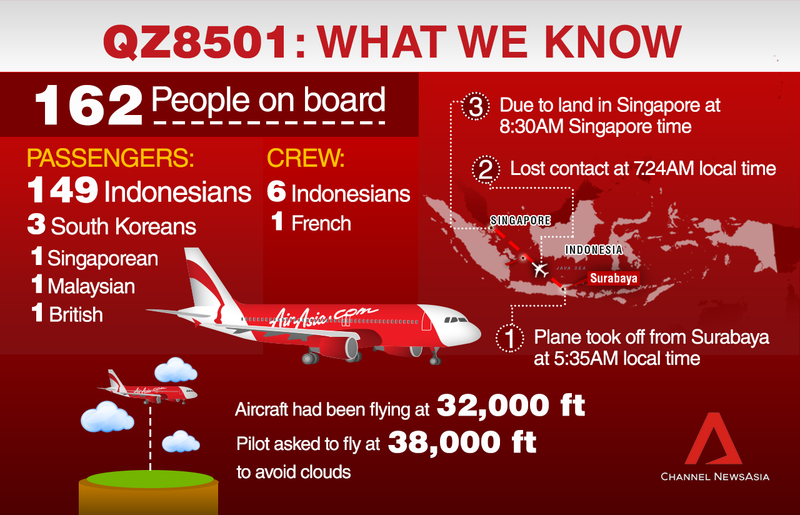 QZ8501 was unlucky to rescheduled the flight time two hours earlier. It was to be a different story if it had stuck to the original departure time to Singapore. MH370 is still missing till today!!! And nobody knows where it is? Can you believe it???? 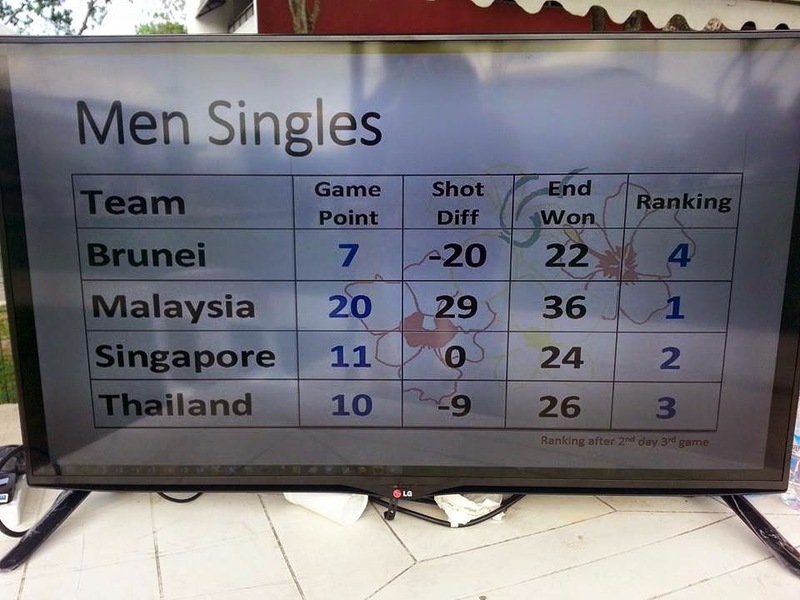 In sports, world badminton number 1 - Lee Chong Wei was "caught" tested positive on banned drugs. He had to serve a two-year ban. 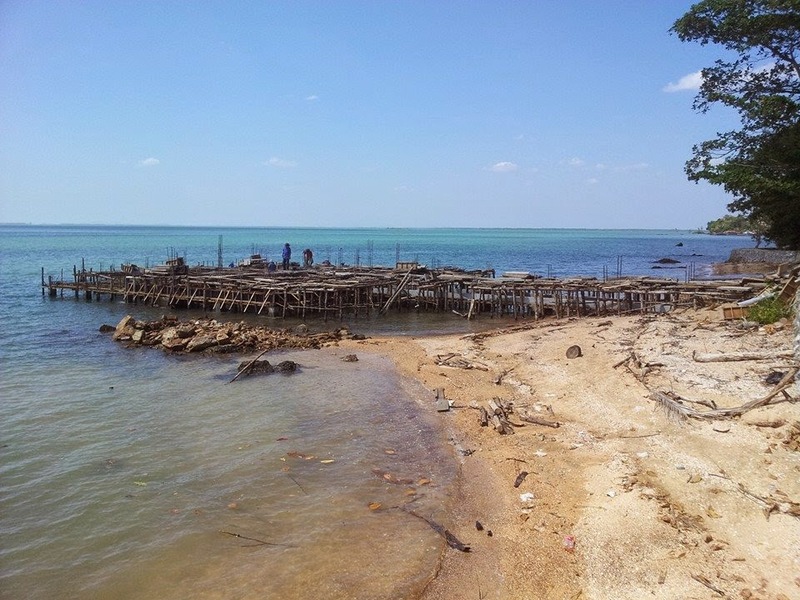 Then, the worst flood in Malaysian history came. 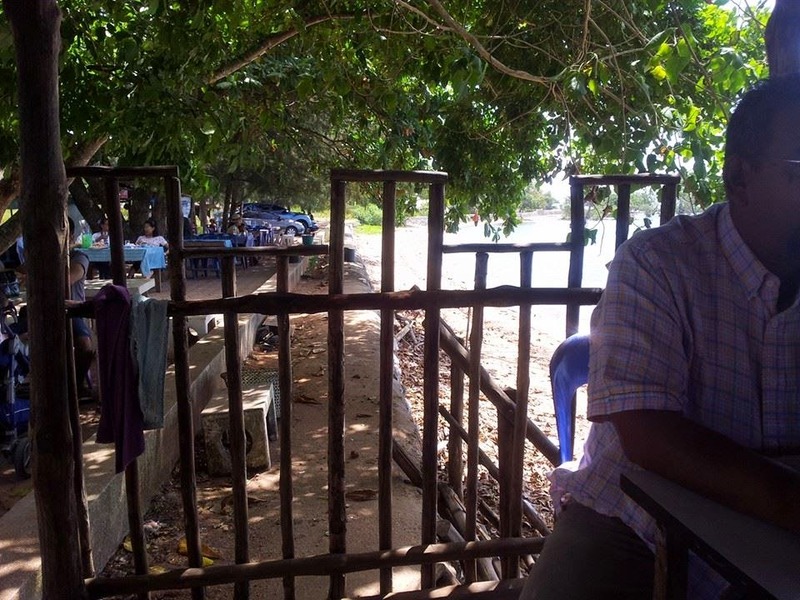 Flood waters rise to more than 3 meters in many areas in the state of Kelantan. Over 200,000 people were evacuated. About 100,000 people are still staying in the relief centers at this very moment, today, as the flood waters are still on in Kelantan, Terengganu, Perak, Pahang and Johore. 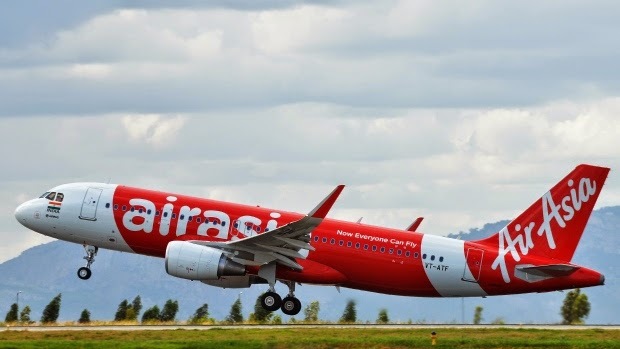 It's the 3rd aircraft disaster this year for Malaysia..., sort of..
AirAsia's flight QZ8501 from Surabaya, Indonesia, to Singapore - disappeared from radar after 42 minutes of flight from Surabaya en route to Singapore, in the early hours on Sunday, 28th of December 2014. 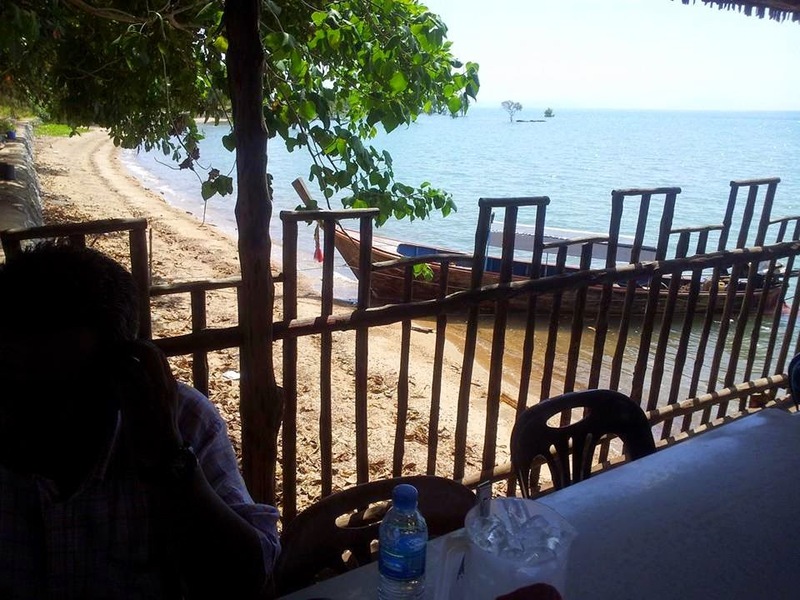 162 passengers were on board, including the cabin crew. The SAR (Search And Rescue) enters it's second day today... Dozens of ships, planes and helicopters ere send to search for the aircraft. And, till now, no news yet.. What was reported was 2 patches of oil slicks being seen from above - but yet to be confirmed. 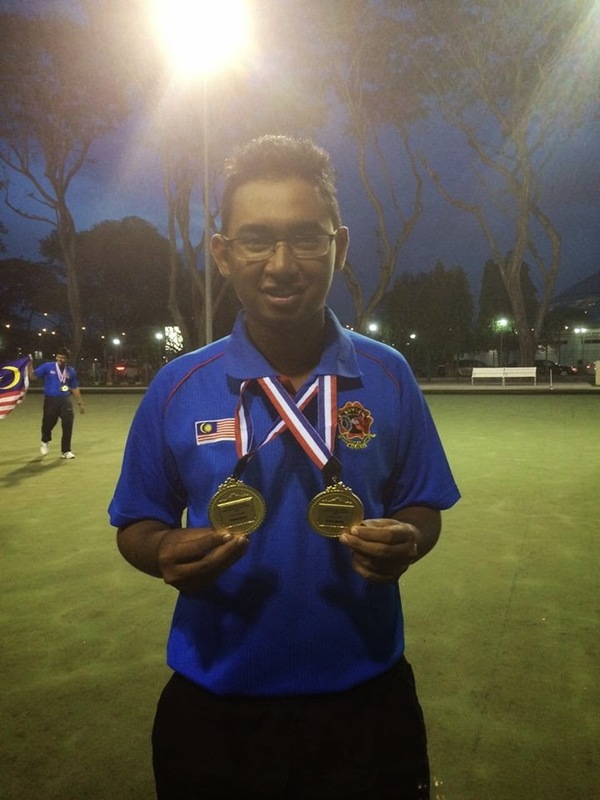 Representing MALAYSIA, 17-year old Daeng Dhadyry won the BRONZE medal in the 10th Asia Men's Under-25 Lawn Bowls Singles Championship held in Shenzhen, China, from 3rd to 9th December, 2014. 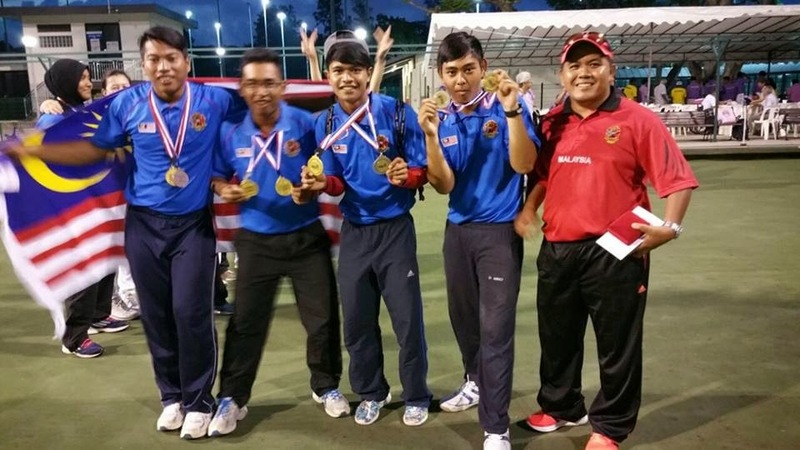 Team Malaysia came out 1st Runner-up Overall, winning 2 Golds, 2 Silvers and 4 Bronzes. 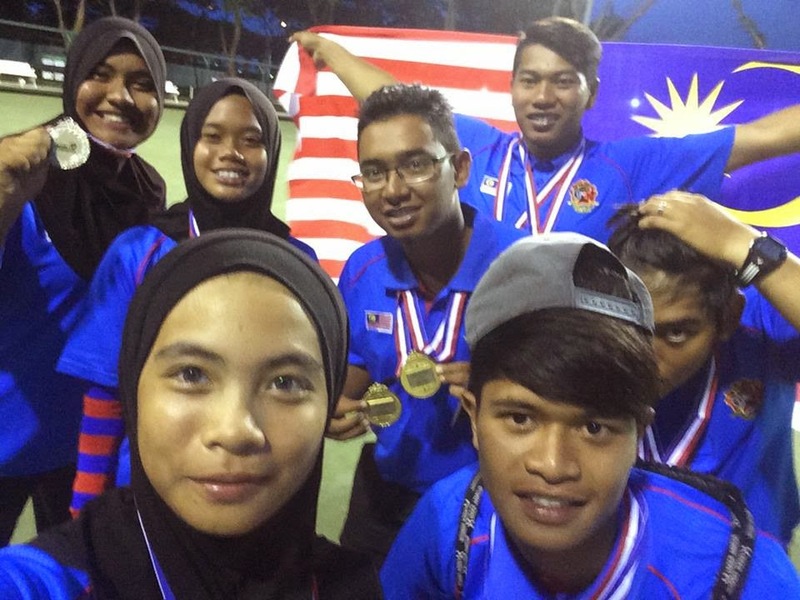 Congratulations Dhadyry... May you win more titles and medals in 2015.. Simple man. 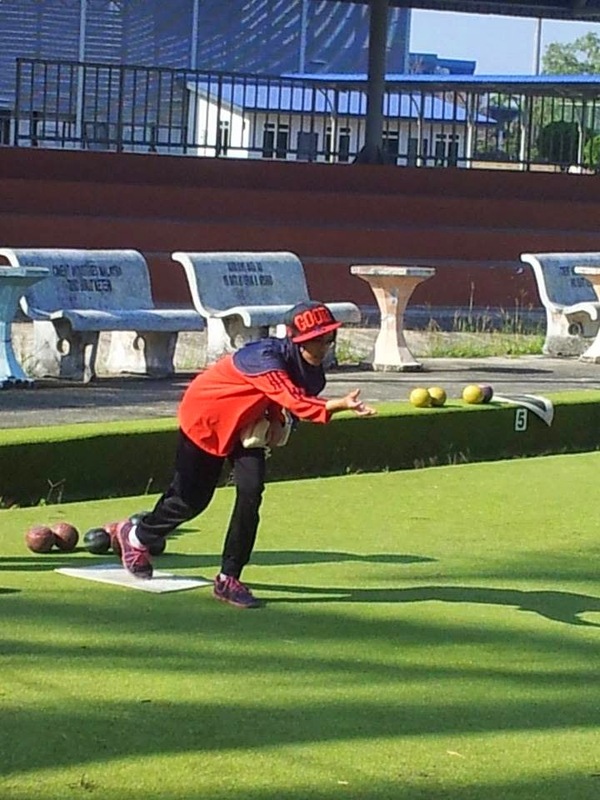 Educationist, Writer, Keyboardist,Composer and Arranger, Qualified Track and Field Coach, Golfer and coach, occasionally give talks on motivation and mathematics. 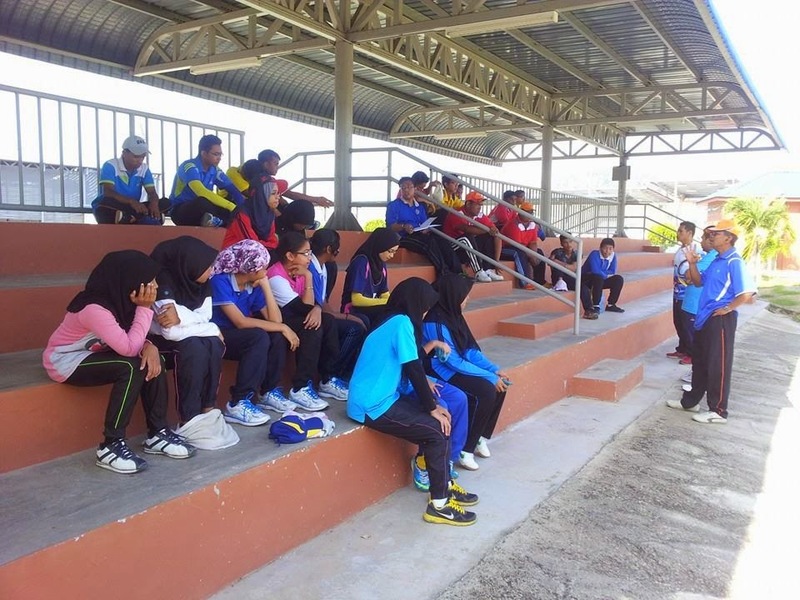 Like to share facts and experience in the Teaching & Coaching profession. I love SPORTS a lot. SWAZILAND - 147th Country Visitor..
CAYMAN Islands - the 166th Country Visitor. 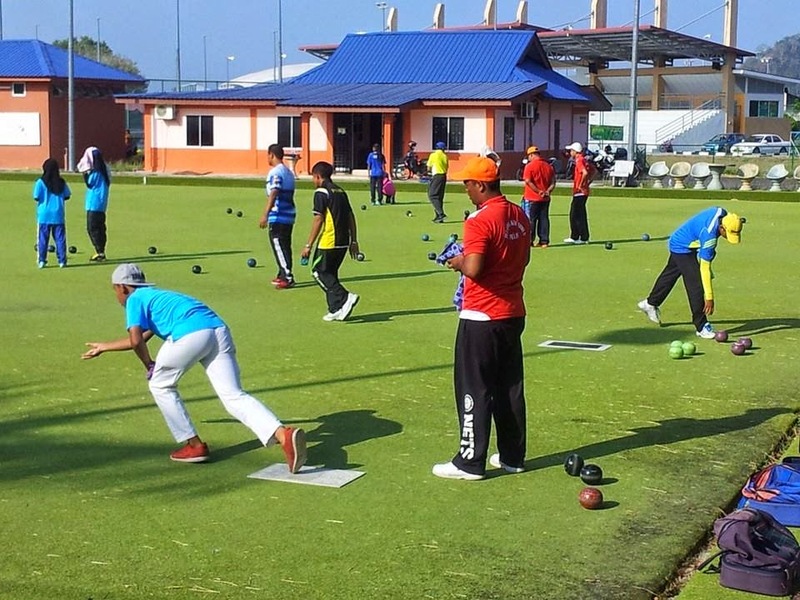 Pakistan vs Malaysia (2nd Leg) - Olympic Qualifying - LIVE Updates..
KRYGYZSTAN - the 182nd Country Visitor. GUYANA - The 168th Country Visitor. Lin Dan-Xie Xingfang Wedding Day.. The French Polynesia - 154th Country Visitor.